Would Quebec Be Ready for Another Ice Storm? 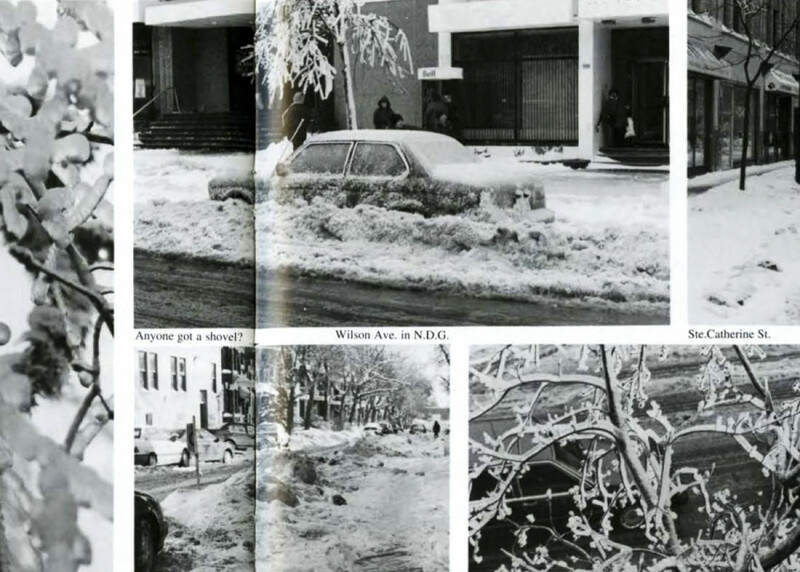 With the 20th anniversary of one of Canada’s worst natural disasters behind us and the looming possibility of similar weather occurring in the future due to climate change, it’s understandable to wonder if the province of Quebec has done enough to prepare for future ice storms. It’s safe to say that we weren’t ready for the storm of 1998. Over 25 people died. The effects on transportation, manufacturing and communications racked upwards of $1.5 billion in damages and later, roughly $5.4 billion worth of insurance claims were made. Agriculture was also largely impacted, given that nearly one third of Canada’s dairy production took place in the affected regions. After receiving two times the average annual amount of precipitation in the form of freezing rain in just under a week, some areas were left in the dark for up to 33 days. Since then, $2 billion was invested in the rebuilding of Hydro-Quebec’s network. It was reconfigured to withstand similar storms in the future, adding one newer, sturdier tower for every nine standard ones. Now, if hit with a nasty storm, not all of the towers would topple like dominoes the way they did in 1998. Power would go out, but restoring it would take days rather than weeks. An engineer originally recommended for Hydro to bury the lines, but the project would have cost $80 billion. Quebec also implemented new emergency response protocols following the disaster. Individual municipalities are now responsible for working closely with their residents. This includes warning them of possible risks in their areas and informing them in advance of emergency services that are available in the event of a disaster. Some municipalities are more on top of this than others. One area where Quebec might be able do better is in the building of infrastructure. Building codes are not up to date with the possibility of bad weather associated to climate change, like strong winds. Before new building codes can be implemented for things like highways, The National Research Council needs to establish what extreme weather to is to be expected for the future. This is set to be complete by 2020, after which provinces will be encouraged (but not legally forced) to follow the new guidelines. Hopefully, Quebec will comply. Investing in infrastructure that is able to withstand a multitude of weather conditions from the get-go would save the province from having to rebuild later on. Another challenging weather phenomenon in recent years is flooding. If there are areas prone to being affected by certain weather conditions, it might be better to place prospective communities elsewhere. Strategically planning land-use, then, could also save Quebec from having to rebuild later on. In an interview with Global News, Paul Kovacs, executive director of the Institute for Catastrophic Loss Reduction, said that the federal government should be increasing the budget of the National Disaster Mitigation Program, an initiative that aims to build more resilient communities. According to Kovacs, there is research that indicates that for every dollar that is put into preventing bad weather from becoming a disaster, four to five dollars are saved. As of now, the budget for the National Disaster Mitigation Program is $200 million. Given the fact that the proposed project of burying Hydro Quebec’s distribution lines alone would have cost $80 billion, it would seem that the budget for the National Disaster Mitigation Program is, in fact, underfunded. Still, Quebec has been able to make some significant changes within its financial capacity. It would appear that in order to really buckle down and invest in natural disaster mitigation to the best of our ability as a province, the federal government would have to increase the budget of the National Disaster Mitigation Program. Then, Quebec could submit an application for funding and use it to better the infrastructure, strategically plan the use of land, and maybe even put a little more money into the Hydro network. Last but not least, it’s important to remember that we, as individuals, have a responsibility to educate ourselves about how to prepare for disasters. On its website, Quebec Public Security provides a comprehensive list of emergency items that everyone should have in their homes. If there’s one thing the freezing rain we experienced this week made apparent—or the flooding that hit areas in Quebec last spring—it’s just how easily the weather can turn the world around us into a slippery, dangerous, unwelcome environment. The more we can prepare for future storms, the better.